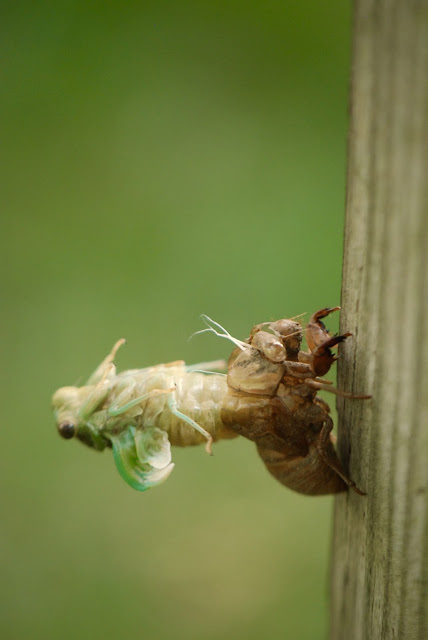 I love these cicada photos. 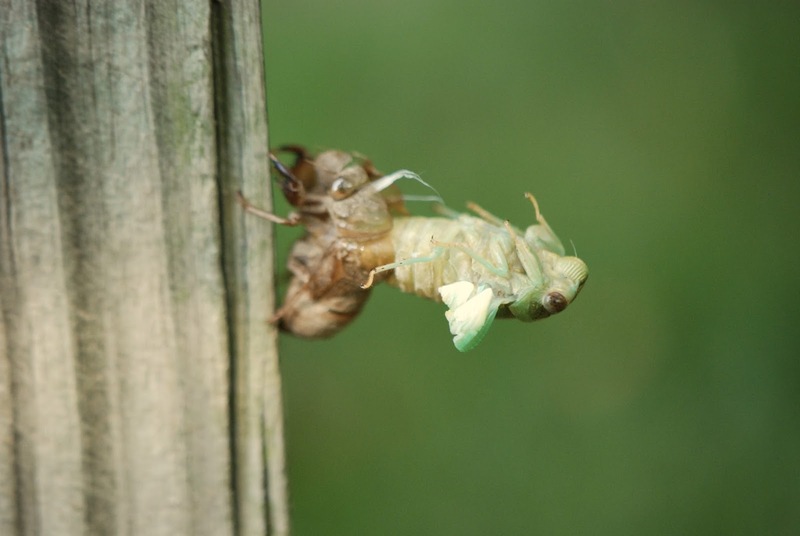 We often see the shells and cicadas at the lake but I have never been privi to watching as one emerges. Wow! I enjoyed seeing Scout at Nancy's. I hadn't realized her dad was having surgery. So glad he is well enough to head home. Give my best to Erin and her husband. I will keep them in my prayers. You will now readjust to quiet at home as I have after wonderful times with the grandchildren. Incredible!! I've never seen one shedding its skin before! I love finding the skins around on the tree but always through they must shed at night when no one can see! Fabulous that you had Scout for wo whole weeks - I trust all is ok and everyone is well.